Indie Retro News: gdxBlood - Gory FPS classic is getting an unofficial Java port! gdxBlood - Gory FPS classic is getting an unofficial Java port! One of our readers ' Jeff Cotten ' has recently informed us that Monolith Productions and GT Interactive Software's gory first person shooter which we know as Blood, is getting an unofficial Windows port via Java by AxeleratorM210. 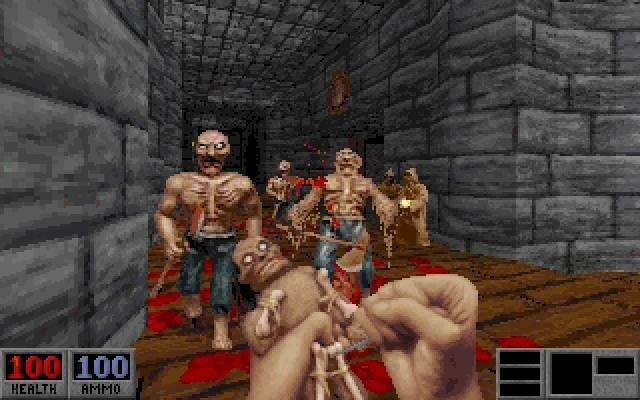 Originally released as shareware in 1997 and the full version in 1997 for MS-DOS, this game was one of the bloodiest and horrific first person shooters of the era, as it featured zombies, undead butchers, cultists, hell hounds, giant spiders and further deadly enemies that would cover the floor in blood! According to the creator of this port, gdxBlood is a port based on Java's libgdx framework and will be able to read all of the original Blood maps as well as original Blood resources, furthermore the port is almost available as a Java release, but currently AxeleratorM210 is working on reverse-engineering the Blood sound system to make it far more complete. But if you can't wait that long and want to play the original, then head on over to GOG and buy it as you may need certain files for gdxBlood.